As Syria’s war enters its ninth year on March 15, many questions arise as to how it began and what it morphed into, but the most pressing one will be the ‘balance sheet’. Quintessentially speaking, this is a geopolitical cataclysm, and the moving finger, which is still writing, is yet to move on. The death toll tops 370,000 people, including 112,000 civilians. According to the London-based Syrian Observatory for Human Rights, more than 21,000 children and 13,000 women were among the dead. Over 125,000 Syrian government soldiers and pro-regime fighters perished and other fighters, including rebels and Kurds, accounted for 67,000 of those killed. Almost 66,000 were jihadists, mainly from the Islamic State group and Al-Qaeda’s affiliates in Syria. 13 million Syrians were displaced or forced into exile. With the robust backing of Iran, Hezbollah and the Iran-backed popular militia, Syrian government froces won the war for political survival, dramatically reversing rebel gains, thanks to a massive Russian intervention in 2015. President Bashar al-Assad now controls almost two-thirds of Syria’s territory. But key areas remain beyond government control, including a swathe of the oil-rich northeast and vast water resources — almost one-third of the country’s territory — held by Kurdish-led fighters under the rubric of the Syrian Democratic Forces, supported by Washington. The northwestern province of Idlib is held by al-Qaeda affiliates where a ceasefire deal last September between Ankara and Moscow and holding tenuously, has been reworked and now envisages troops of the two countries being deployed to the area jointly and separately. Assad said recently, “We have this romantic view sometimes that we are victorious. No. The war is not over.” He said there was more fighting to be done and there is also the “siege” imposed by foreign states. “The siege is a battle in itself. It is intensifying compared to previous years.” The “siege” is about the attitude of the Western powers. The West will not help Syria recover or rehabilitate before the regime undertakes “reforms”. Of course, it is not only Syria but the entire region of the Middle East needs reforms, but that does not stop the the Western powers from supporting the regimes in Saudi Arabia, Bahrain or Egypt. The whole argument about “reforms” reeks of hypocrisy, because if only the West and the Gulf countries had not funded, equipped and extended such massive support to their proxy jihadi armies, the conflict that erupted in 2011 would have ended inside a year. The bottom line is that the international community is yet to reconcile with the fact that Assad won the war. The West’s approach to Syria’s reconstruction must be built on the basis of an honest reckoning of time past and time present. Indeed, there is a glaring democracy deficit in Syria. 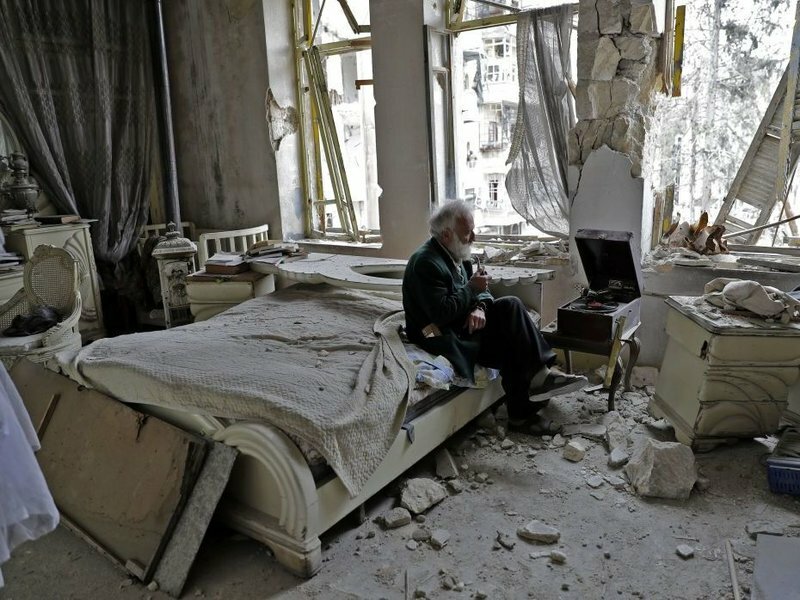 But on the other hand, the impasse over Syria’s reconstruction, if it continues like this, is fraught with grave danger. Finally, it is foolish to ignore that what began as a civil strife in 2011 has metastasised into a full-fledged regional conflict sucking in Turkey, Syria, Israel, Kurds and the petrodollar states of the Persian Gulf. The US is thinning out its military presence, Arab Sheikhs have pulled out lately, but other protagonists remain and are gearing up for new contestations. The principal templates are: Turkey’s “neo-Ottomanism”, Iran’s regional surge and Israel’s quest of legitimacy for the occupied territories of the Golan Heights. Then, there is the overarching “resistance” politics and the Kurdish question. What complicates matters is that these contestations will also be playing out in the New Cold War conditions. The US and its NATO allies have far from accepted the fait accompli of the permanent.Russian military bases in Syria. From the Syrian springboard, Russia is already expanding its influence to Lebanon and Iraq and is projecting power into the Mediterranean. Also, Turkey under its present leadership is fast becoming a quasi-ally of Russia. Syria has been a fiercely independent country in the Soviet era. It is resilient enough to stake out its strategic autonomy. Suffice to say, Syria’s equations with Russia — and, indeed, Iran too — are dynamic. Alignments will change with Syria’s re-integration into the Arab fold. 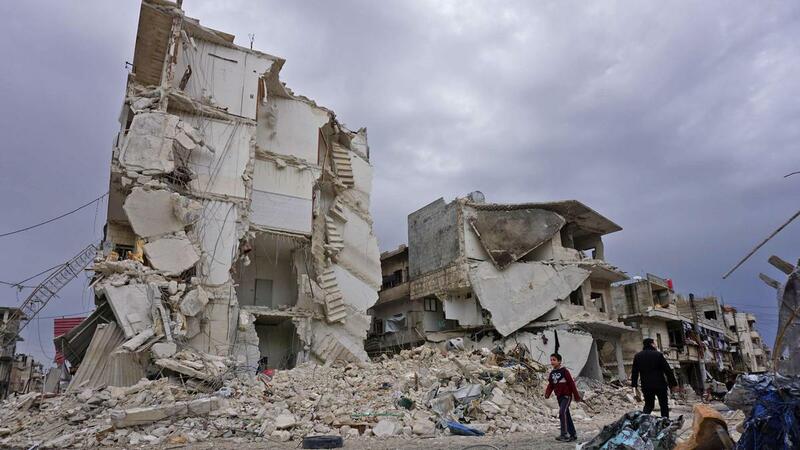 A lot depends on the willingness of the wealthy Arab states to fund Syria’s reconstruction. Clearly, the above shows that despite the horrific destruction of Iraq by the US, a rapprochement has become possible. Indeed, when it comes to Syria, one major obstacle lies here, which is almost insurmountable for the Trump administration — Israel’s vested interest in keeping Syria weak and divided. Israel will do everything to get its foot in the door in Syria and exert influence. It is entirely conceivable that at some point Israel will present its own plan to Washington in an attempt to rope in the US, its European allies and the Sunni states in the Persian Gulf to stand up to Russia.